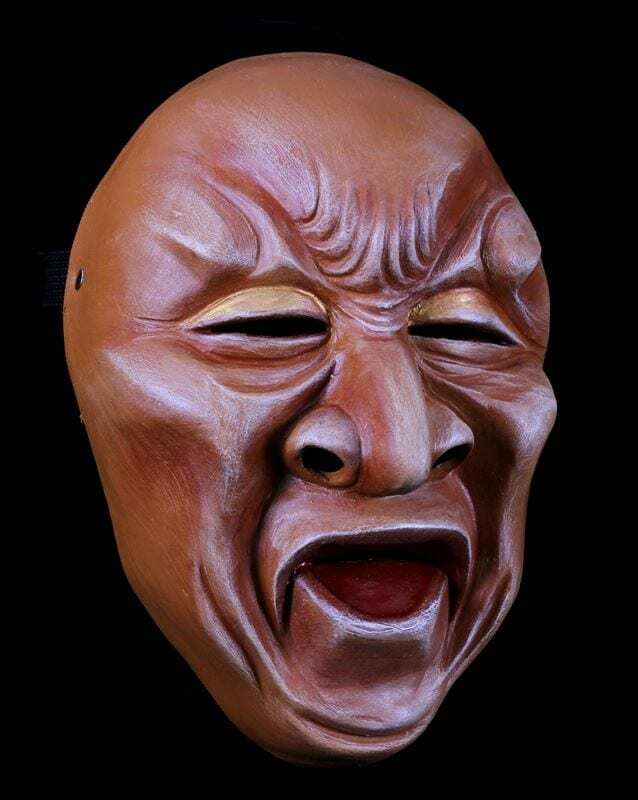 This full face character mask is the dynamic representation of the passions rage, anguish, scorn and jealousy. Although this mask seems to have a fixed expression in time it has a wide dynamic range and a compelling counter mask. 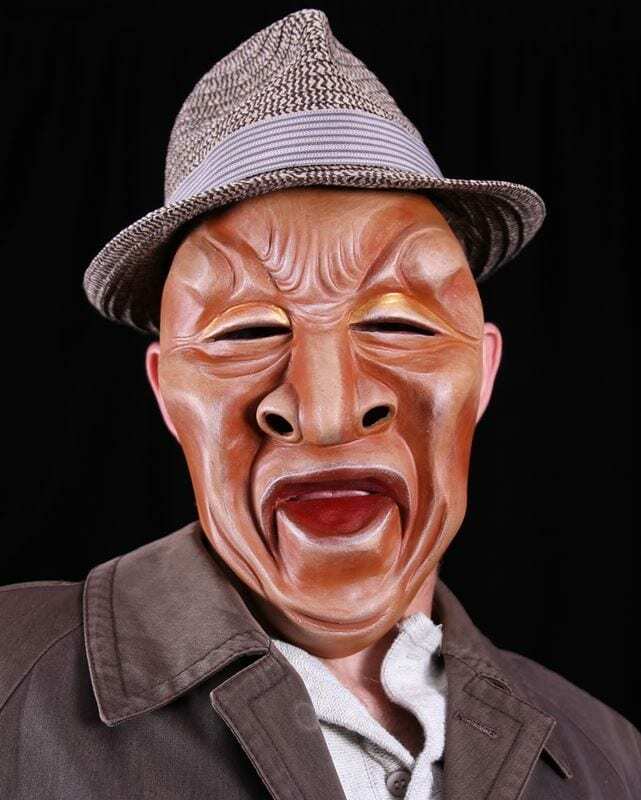 Inspired by the sculptures of Franz Messerschmidt this character mask was created for Jon Stancatto as a mask for use in actor training. It is the first n a series of new character masks for the site. 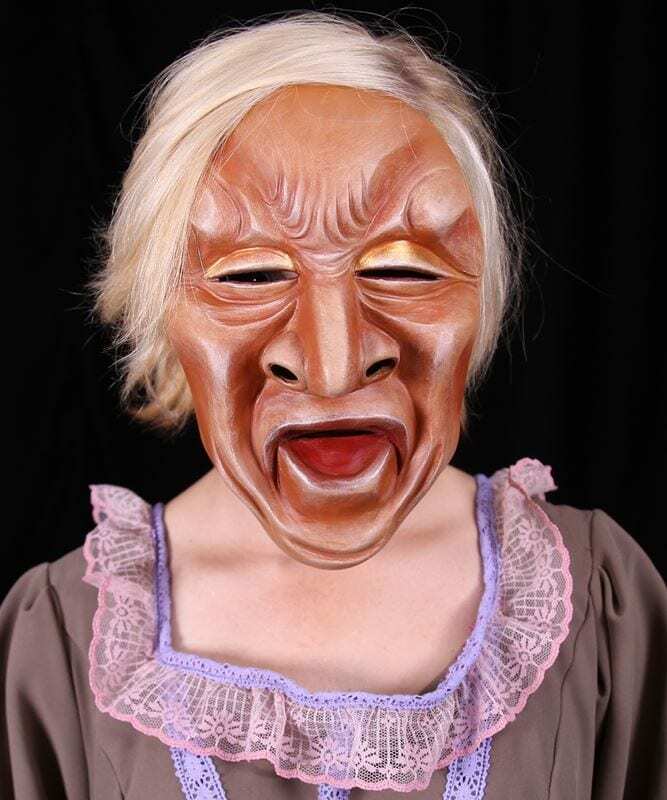 Add it to your collection of masks for teaching and performance.